Livea Naturals Cosmetics eye make-up collection consists of a broad range of formulas: eye shadows (pressed powder, liquid, cream, cream to powder or solid), mascaras, eyeliners (gel, solid, liquid pen or pencil) and eyebrow make-up. 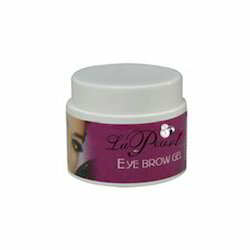 Backed by an adroit team of professionals, we manufacture and supply optimum quality Eye Brow Gel. Our talented professionals process this brow gel at our hygienically maintained production unit with the help of advanced equipment and ultra-modern technology. 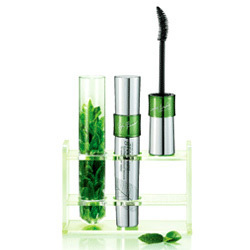 The offered brow gel is widely appreciated by our clients for optimum quality and long shelf life. Keeping the diverse requirements of customers in mind, we are instrumental in offering superb quality assortment of Eye Brow Gel. A transparent gel for eyebrow styling. Dries fast and invisibly. Gives body to styled eyebrows for hours. Precise, practical and long lasting, this eyebrow creamy gel harmoniously disciplines the eyebrowsand revives their natural color. • For a natural effect, apply the creamy gel with three upward strokes with the brush on each eyebrow. “An ideal formula to open the eyes! We are enlisted amongst the leading names in the industry offering our clients wide range of Eye Brow Gel.